Enjoy the sights and sounds of Seattle from Lake Washington on this 1.5-hour narrated cruise. Learn about Seattle’s historic waterfront and take in the view of the city’s skyline with a spectacular panoramic background of the Cascade and Olympic mountain ranges, including majestic Mt Rainier. See the houseboat and waterfront homes of the area’s rich and famous. Food and beverages are available for purchase on board the ship. Kreuzfahrt ist von Mai bis September verfügbar. Great!! The tour guide was very good. She was very friendly and joked a lot. Everybody at the Argosy Cruises was very nice. It was awesome!! great information along the way and staff was very professional! our guests from El Paso , Texas were very impressed. The Alvarado and Garcia tribe. perfect weather for this cruise. 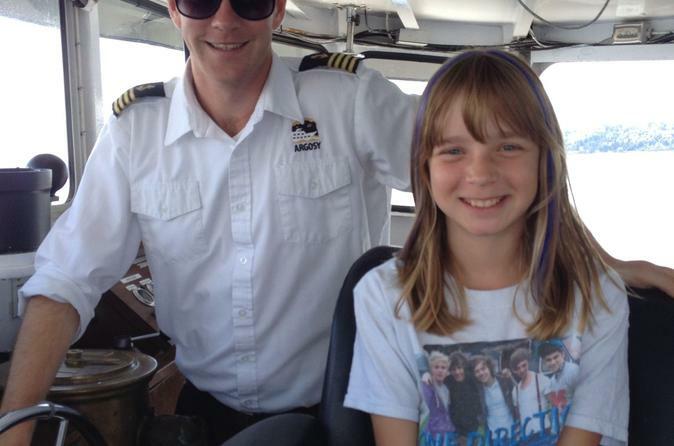 My 10 yr old daughter stayed in the wheelhouse with the cptn, he taught her a lot about the boat and the views that we seen. Spectacular day cruising Lake Washington aboard this charming cruise ship. The crew was fun, helpful and informative. A wonderful way to see the beautiful shoreline, Mt. Rainier and Seattle. Loved it! 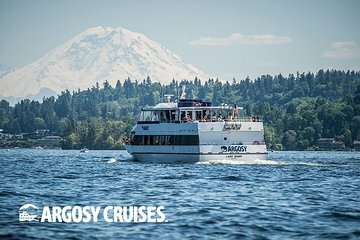 This cruise offers a unique view of Seattle's Lake Washington - often not seen even by locals. The Cruise leaves from Kirkland (a bit like Sausalito) on the Eastside of Lake Washington. Our crew was Captain Kathy, Deckhand Matt with Erik tending the bar on the main level. The crew was very cheerful -- all three are from Washington State so they had plenty of tidbits to pass along during the 90 min cruise. The route takes you by some multi-million dollar homes, some even with their own Seaplanes! Even if you are not into viewing homes, the cruise is a great way to get on the Lake and enjoy the Northwest Summer weather. The passengers were a great mix of folks which made it enjoyable. If you are visiting Seattle or staying on the Eastside this is a great activity! Tip - The upper port-side outside chairs offer the best views -- but that being said, the whole boat has great views! Great tour guide!! The boat was very comfortable, even though it was chilly outside. We learned a lot about the area. Have already recommended this cruise to others! !